Fish Blue Aluminum Trivet CAT# MHDC-2. 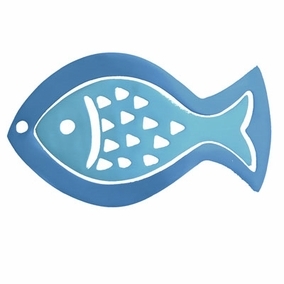 fish blue aluminu trivet. 2 pieces trivet set - use them together (they fit together beautifully) or separately.